Looking for an Air Condition Repair in Long Beach? As a homeowner, you know how important it is to take care of your property. Each year, you probably do a spring clean where you get rid of all the debris that has built up over the winter, and generally make sure that everything is working properly again, inside and out. However, there could be something important that you are overlooking. No matter how accurate or careful you are with your cleaning, if you don’t organize a specialist in Long Beach air condition repair then you may leave your home vulnerable to big problems. The main reason why it is so important that you organize an annual service for your AC unit is that a service is the best chance to make sure that your air conditioning is working correctly ready for when you next want to use it. For example, in the summer it might reach 104 degrees, and if your AC doesn’t work it could mean that you overheat. While you can’t do this sort of work for yourself, bringing in some to it when the unit is in a good condition is the best way to ensure that you have a working unit when the temperature gets too high. There are several reasons why your air conditioning unit might struggle during the summer months without an annual service. Firstly, the unit can become clogged very easily with debris and particles, and this can cause a failure of the machinery. Secondly, the AC service may also be coupled with mold and other more toxic contaminants including bacteria. This may not lead directly to failure but can result in you feeling unwell. Regular service can prevent these problems and will save you money by avoiding emergency repairs. 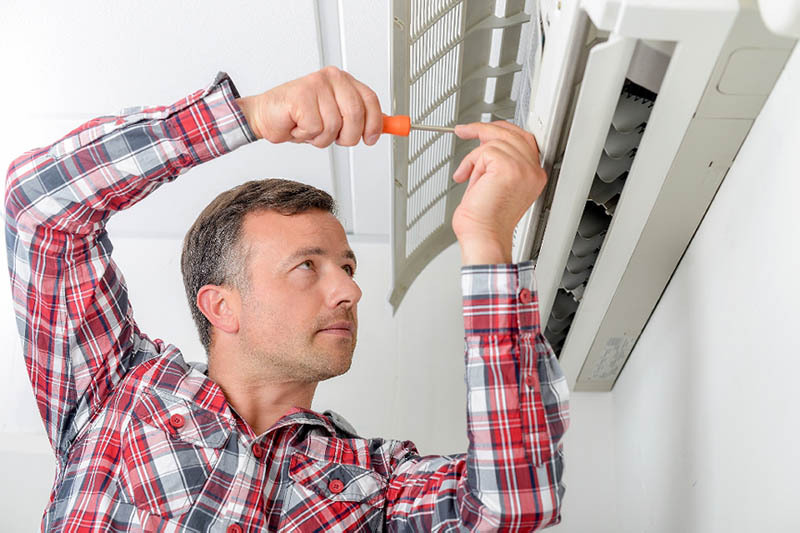 If you want to make sure that you get the most benefit from keeping cool by having your AC unit operating correctly, then you need a Long Beach air conditioner service that can give you a high-quality AC service at an affordable cost. By using our teams to keep the AC unit in good condition, you will soon see the financial rewards for servicing your air conditioner annually. 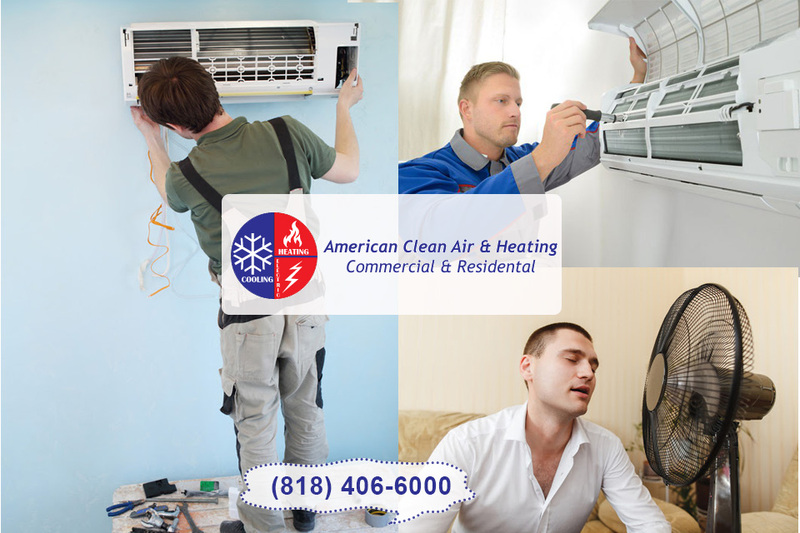 To find out more about how American Cool and Heat can help you, contact us for a free estimate, or call us on 818-406-6000 now. You come home from work one day, expecting everything at home to be the same as it always is. However, this time when you walk through the door, you cannot help but notice that something is wrong. The air in your home is stale and muggy, and it does not sound like your air conditioning is running at all. What could be even worse is that the system is running but is making very loud noises that cause concern for you. You do not want to hesitate, and the time is now for you to find the right service for yourAC repair that you need fast. The first thing to consider, if you have never had to call a repair service before, is that you find a place with an impeccable reputation. Talk to neighbors, family or friends in the area and see what service they use for the repair work that they may need. With the names of the services you get, you can then look up the company, read their website, check reviews by customers, and see who the best fit for you may be. When your AC is not working correctly or at all, and you need AC repair quickly, you want to know you have a service that can respond to you quickly. There is nothing more frustrating than calling an office several times and leaving messages or sending email messages that go without a response for a long time. You want a service you know you can rely on and will be there to answer the call no matter what day of the week it is or what time it may be so you can get the help you need. 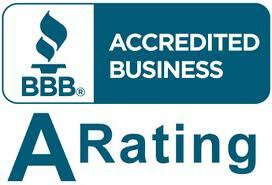 Here at American Clean Air and Heating, we can provide you with the quality AC repair you need. We have a stellar reputation in the Southern California area and can offer you the fast response time and assistance you need when your system is failing. Contact us by calling 818-403-3128, and we will get a service person out to you right away, check your system over, give you a free estimate, and perform the work you need quickly to get your AC up and running again. We have become a society that is highly reliant on the machines that are all around us. From the moment you wake up in the morning, there are various devices and machines doing work for you to help you get your messages, get ready for work, get you to work, supply your meals, keep you comfortable and more. If even one of the machines in your life is not working the way it should, it can be highly disruptive to you and throw everything off. Now imagine if that one machine not working right now is your air conditioning system. The worry that this thought can cause you should be enough for you to see the importance of knowing that you have a quality AC service near me to rely on for help. While people survived for hundreds of years without the need for cooling systems in their homes, we have come to rely heavily on systems like this each day. This is particularly true when you live in an area like Southern California, where temperatures are warm throughout the year and can reach dangerously high levels outside and inside. When you have an AC system, you need to be realistic about the system and know that it needs regular maintenance and cleaning to keep it running well and working right for the long haul. To do this work, you need to know a service you can count on to help you. 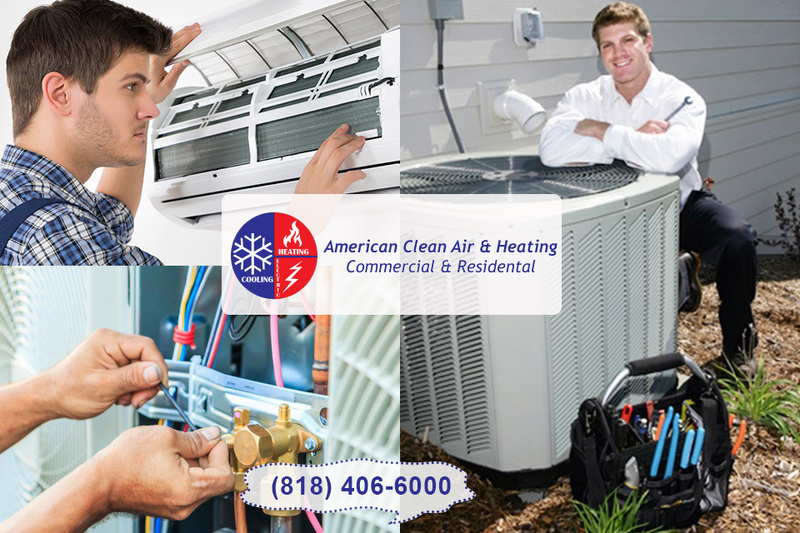 At American Clean Air and Heating, we are the service company that can be there for you in the Los Angeles area. When you ask yourself where you can find an AC service near me, you will know that we can help you out. We have extensive experience working on all kinds of AC and HVAC systems, and our expert technicians are equipped with all the best tools, equipment and technology available to diagnose the problem you are having, offer a solution, and get the work done for you. Since having an AC service near me is so important, you want to make sure that you have a service you can trust to call anytime there is a problem. 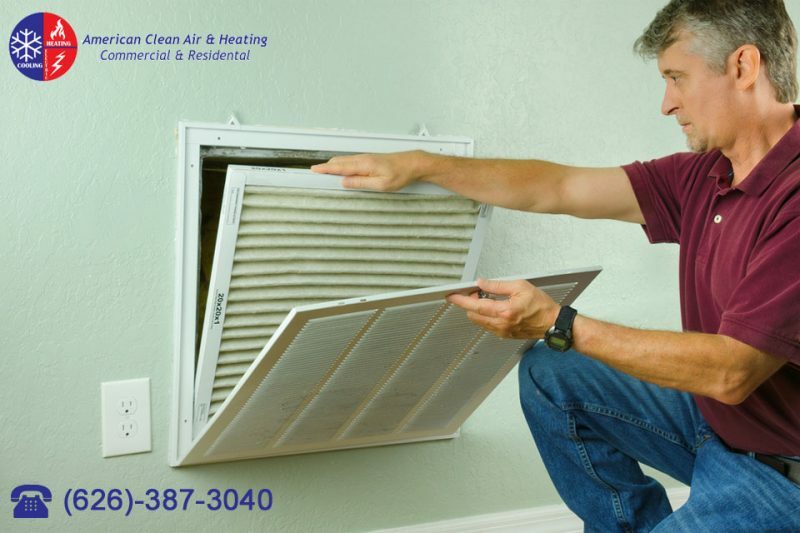 You can learn more about the services we offer at American Clean Air and Heating when you come to our website at www.americancoolandheat.com. You can then give us a call at 818-406-6000 anytime, day or night, so that you can get the expert service you need. Living in California, it may seem impossible to you to imagine surviving in your home without the comfort of your air conditioning system. You rely on your system quite a bit, particularly in the summer months, to help see you through those days when the thermometer reaches triple digits. That is why when you are experiencing trouble with your AC it can be so frightening to you. The thought of even going just a few hours without it, let alone several days, can make you panic. To help be prepared for an emergency when you might need help you want to be sure you can track down air condition repair in Pasadena that you can rely on. Even if your AC system seems to be working fine, you want to be sure that you have the name and phone number of a reliable service you can turn to in a pinch. If something ever goes wrong with your system, you may not know what local service you can get the best help from and could spend a lot of time scrambling around trying to find a service for you to call. Doing some investigation beforehand can save you a lot of aggravation down the road. Take a look at the local services in your area and do some research on them. Find out from neighbors, family in the area or co-workers who they may have used in the past so you have some names to start with. You can then do some research on your own to gather more information. When you are looking at companies to help you with air condition repair in Pasadena, take a look and make sure anyone you are considering is properly licensed to do this type of work. When a service has the right licensing you will know they have gone through the proper training and experience needed to do these repairs. You also want to look for a company that has experience in this type of work and is familiar with all types of AC systems so you can be sure to get the help you need. 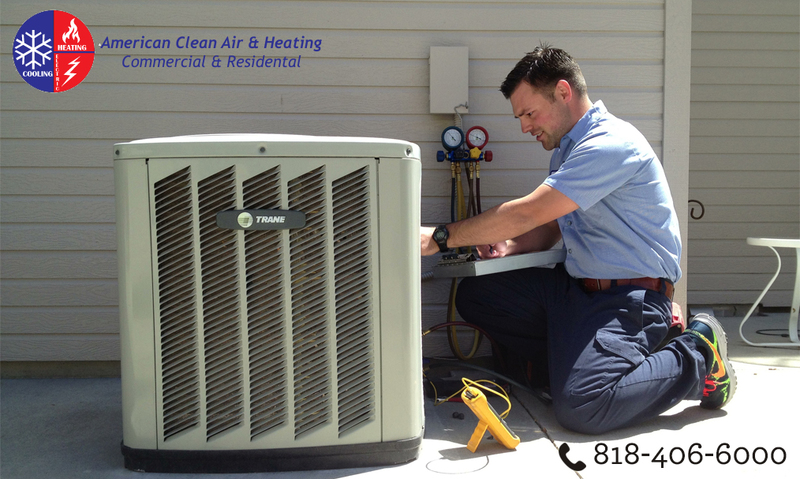 When you have the name of a good air condition repair in Pasadena service, you will know just who to call at the sign of a problem. 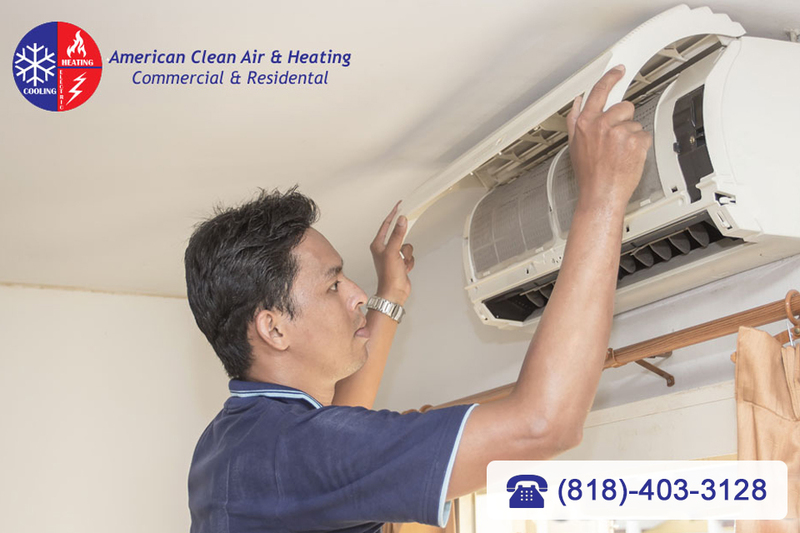 Take the name American Clean Air and Heating and put it in your smartphone so you can be ready to call 888-503-2850 at the first sign of a problem with your AC so you can be sure to get it fixed right.